Riad Achwaq is a renewed old-style Moroccan house, familial and calm, in the heart of the old city within walking distance to many famous places (Jamaa Lafna, Majorelle Garden/Museum, and so on), close to shops, taxi stops (all within 150-200 m), you will feel within a safe small haven. 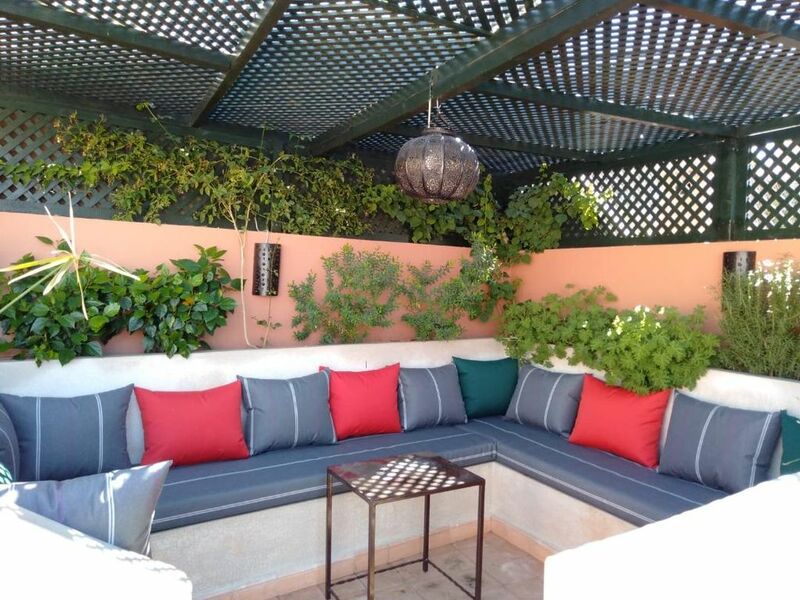 It has patio open on the sky, 4 rooms all equipped with shower and toilet, 5 small salons in the patio (ground and first floor), and a lovely sunny terrace in the second floor fully open on the wonderful blue sky. Riads in morocco is for me a sort of "heaven of peace", while in the heart of medina, the silence you fell and the joyce are extreme. This is why for me having a riad in marrakech was a longstanding dream.